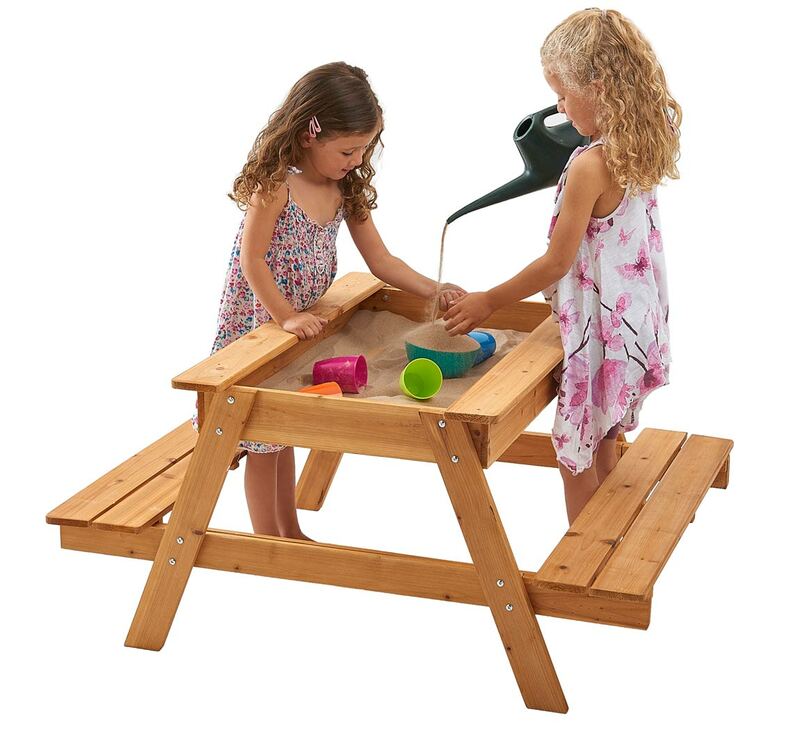 This wooden sandpit table has a lift off lid with a children's sandpit underneath. 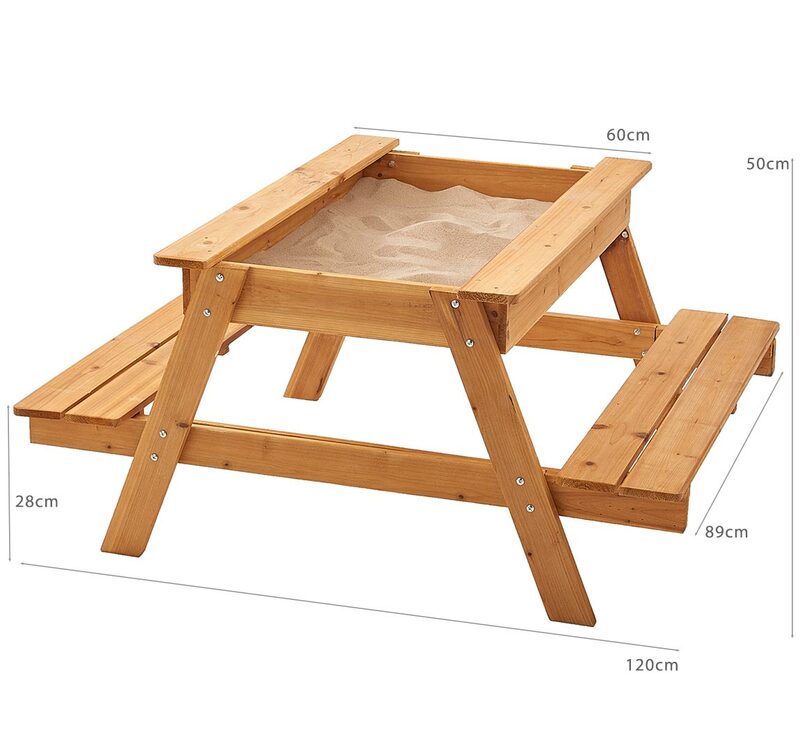 The benches are large enough to seat four children and there is enough space in the sandpit to allow for the most creative of sand castles. 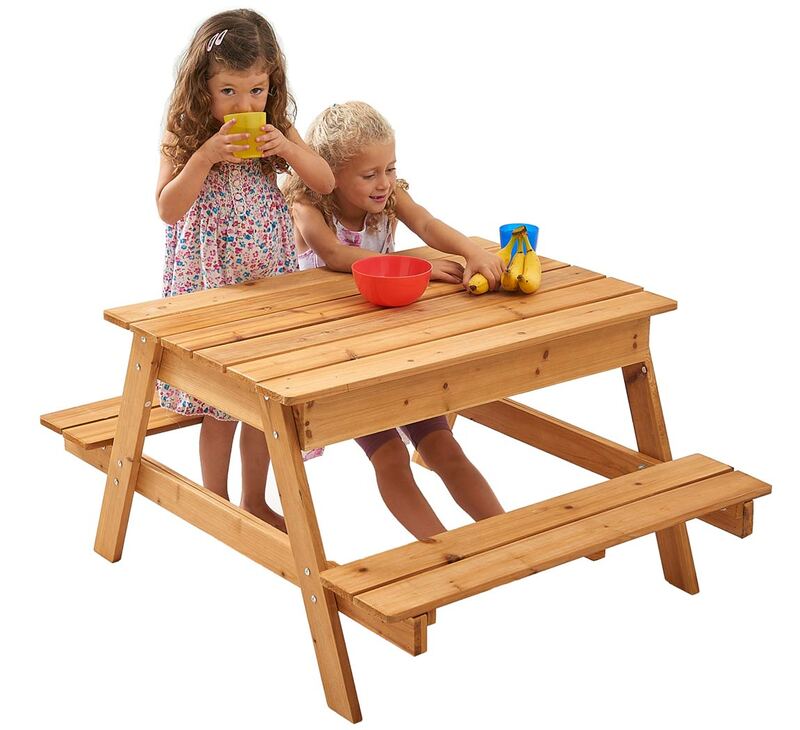 The table is treated and designed to stay outdoors in the elements and is guaranteed for 1 year against wood rot and insect infestation. 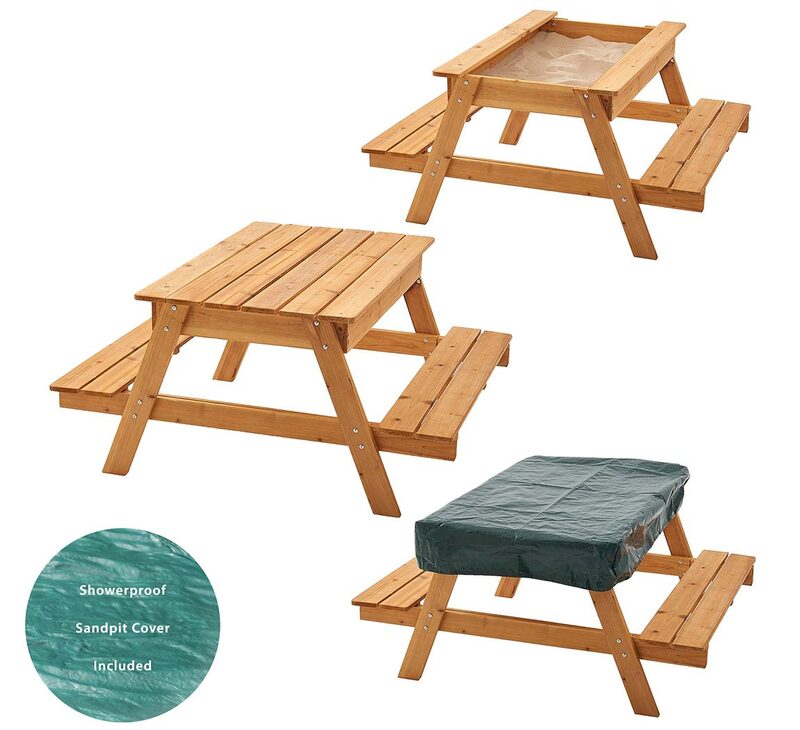 The wooden lid keeps any unwanted visitors such as cats and other animals out of the sand keeping your sand nice and clean for when your children would like to use it. 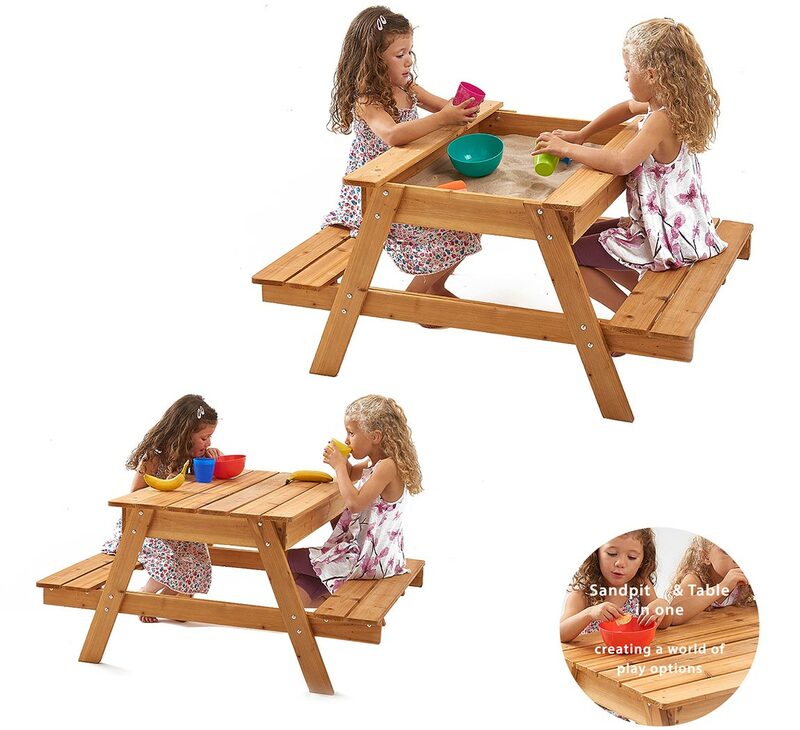 The bench makes picnic time in your garden a pleasure with its simple and easy to use wooden lid, just simply place the wooden lid on top of the sandpit and your ready for lunch in the garden. 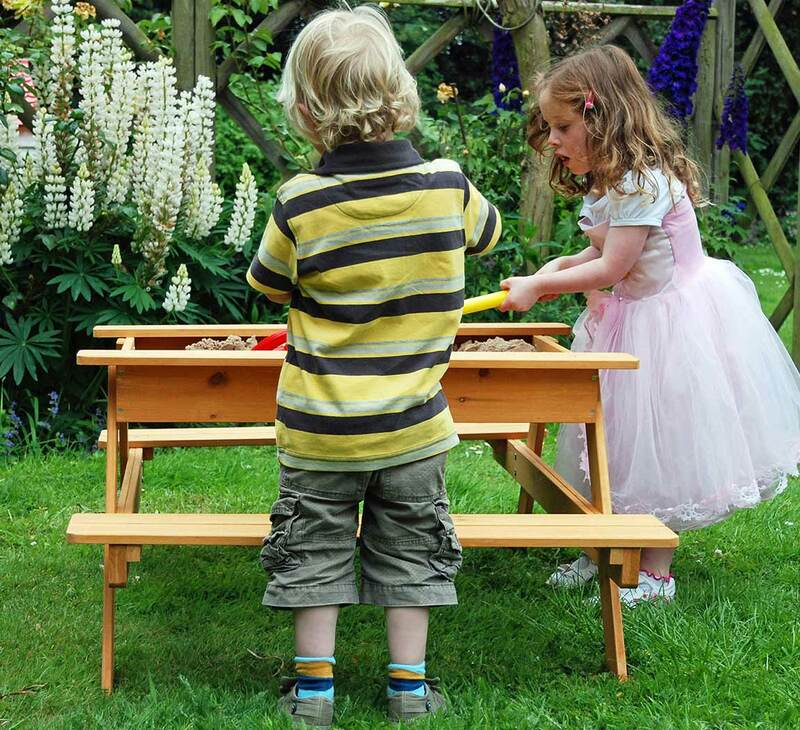 This clever table is perfect for those days out in the garden, there is also enough space to store toys neatly inside the bench when not in use. We don't sell it but play sand is available at most garden centres and DIY stores. We always recommend buying a bit extra for topping up and refreshing later on. A 25 kg bag will fill it to above half way. Pre treated, no need for varnishes or other treatments. We only use timber from sustainable forests, our timber has rounded off edges and a quality finish which means its safe for your loved ones. Installation is easy and all holes are pre drilled with a step by step instruction booklet saving you time. Suitable for up to 4 children, great for building friendships and encoraging teamwork.